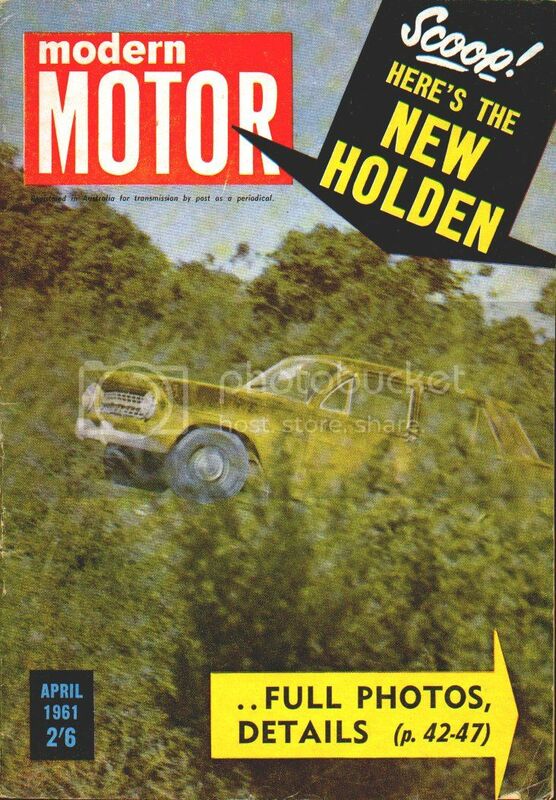 This page is dedicated to the history of the EJ Holden. 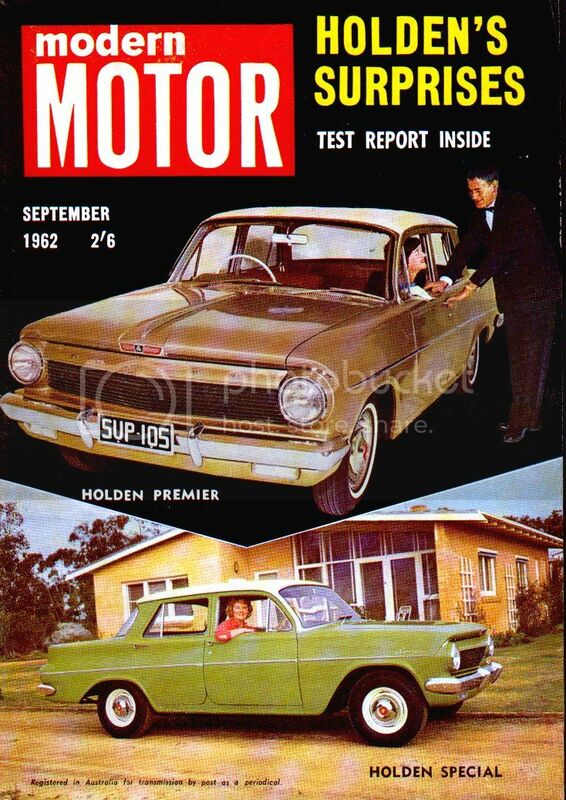 The 'EJ' was produced between 1962 and 1963, and was the first of a bold new shape for the Holden. Gone were the fins of the previous EK model, and a new flat boot and lower roofline was created to keep pace with the more modern looking Ford Falcons. 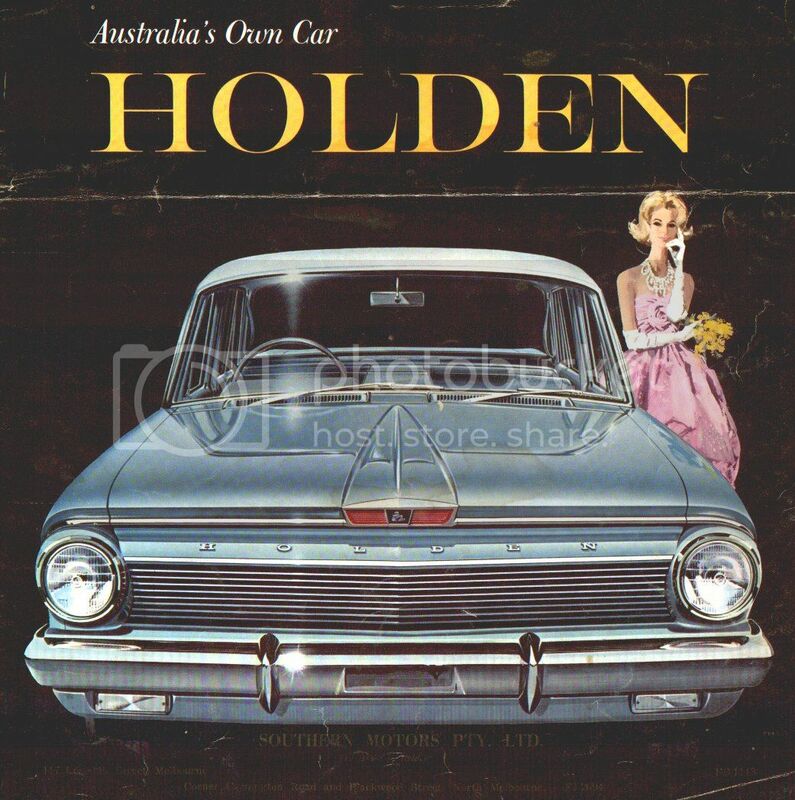 The EJ was the last model offered with the popular 'grey motor', which had been in use since the first Holden produced in 1948, albeit with a few refinements. The grey motors were the last to use solid valve lifters, and an internal oil pump and oil filter. These motors were known as "grey" motors due to the fact that the were painted grey at the factory. Final displacement was 138 cubic inch. The EJ was available with either a three speed manual or the Hydramatic transmission. Standard - The basic car, with no additional trimming or fittings. The body of this model was painted in a single colour. These were sometimes purchased as Taxis or rental vehicles. Special - The most popular model, with stainless steel trims along the side, chrome Special badges, two tone vinyl interiors, as well as a better choice of exterior colours with a white roof. 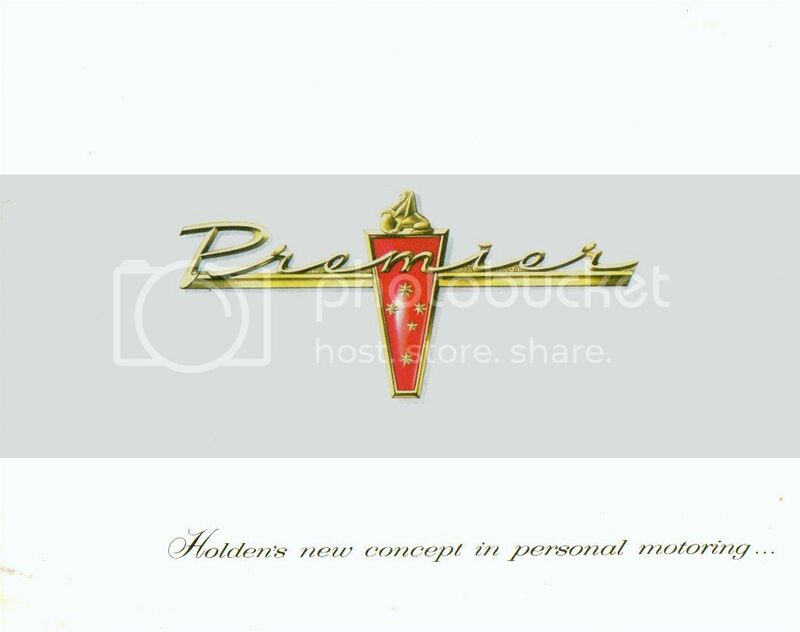 Premier - The EJ was the first model to introduce this new luxury model, with innovations such as full leather interiors featuring bucket seats and a console with controls for the two speed fan heater. The Premier also featured metallic paint, a push button AM radio and arm rests on all four doors (sedan). 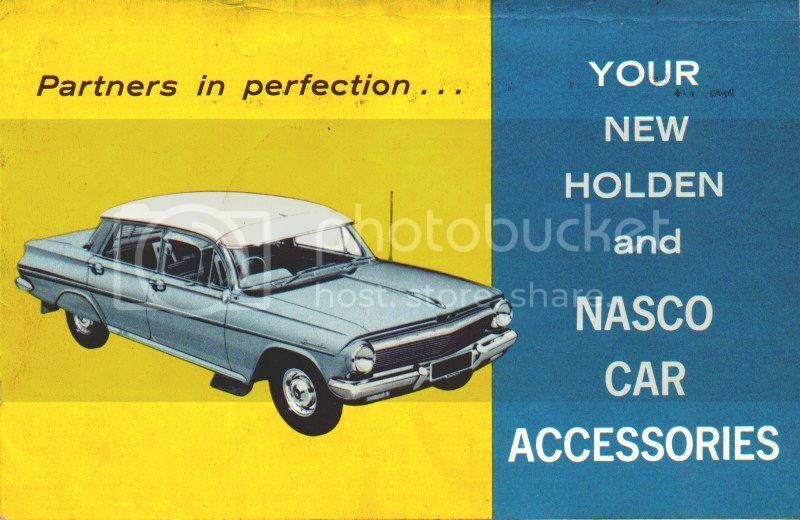 A number of factory options were fitted at standard equipment, such as hand brake warning light, glove box light and luggage compartment light (sedan). The steering wheel, gear selector, heater switch and turn indictor switches, usually grey, were all colour coded white for an up-market appearance. The Premier came standard with the Hydramatic auto transmission. 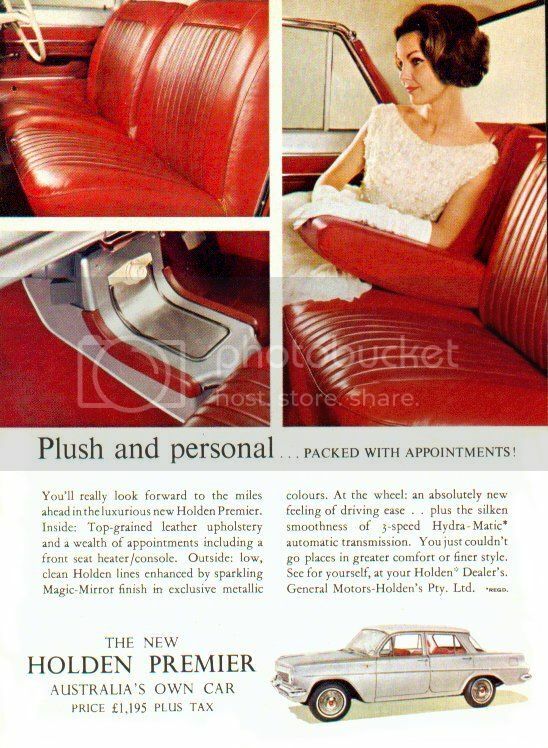 The interior trim differed slightly from that of the later EH in having two tone seats and door trims. Utility & Panel Van - The EJ was also offered as two commercial vehicles. 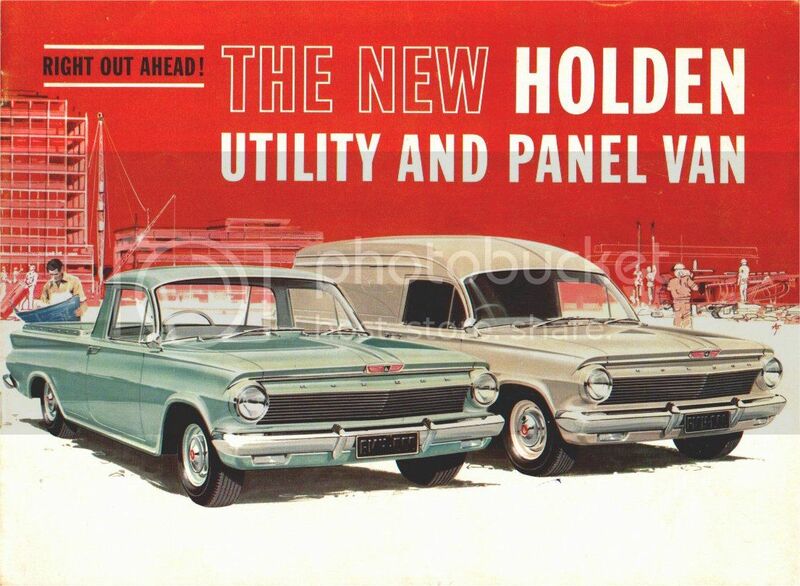 These were the Utility and the Panel Van. In appearance they were almost identical to the EH. In fact, the EJ rear quarter panels and tail lights were carried over to the EH with the only difference being a fuel filler flap. 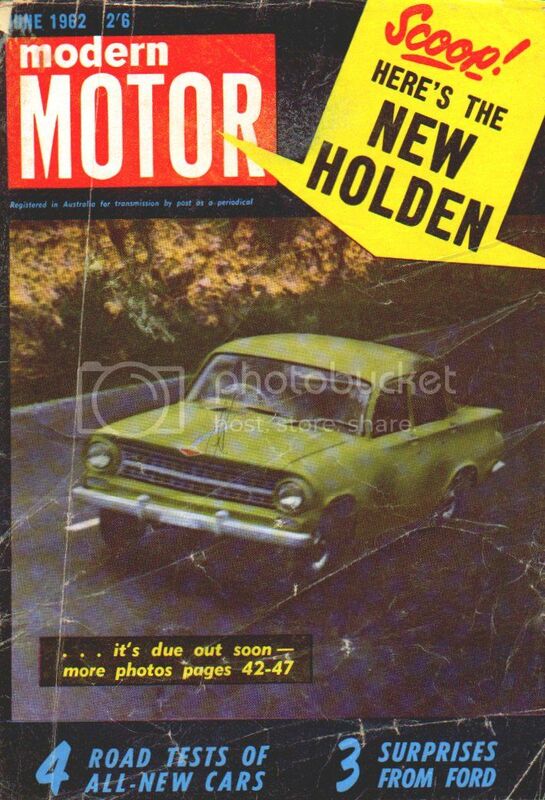 Additional information - To get to the EJ Holden advertisements, Nasco Accessory guide, Sales Brochures and magazine articles, click on the links below. 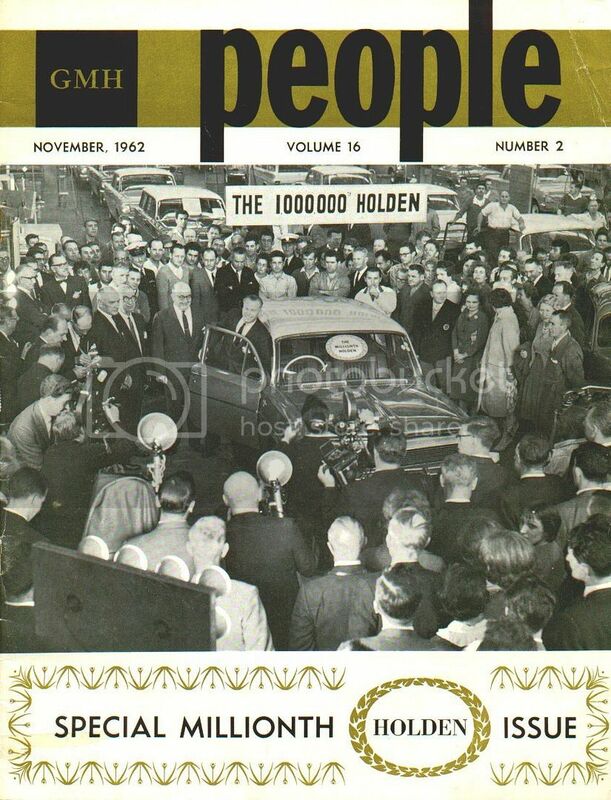 Previously available only from the front page of the archives, below is a copy of the GMH publication celebrating the 1,000,000th Holden, an EJ Premier. Click the link below to access the page. 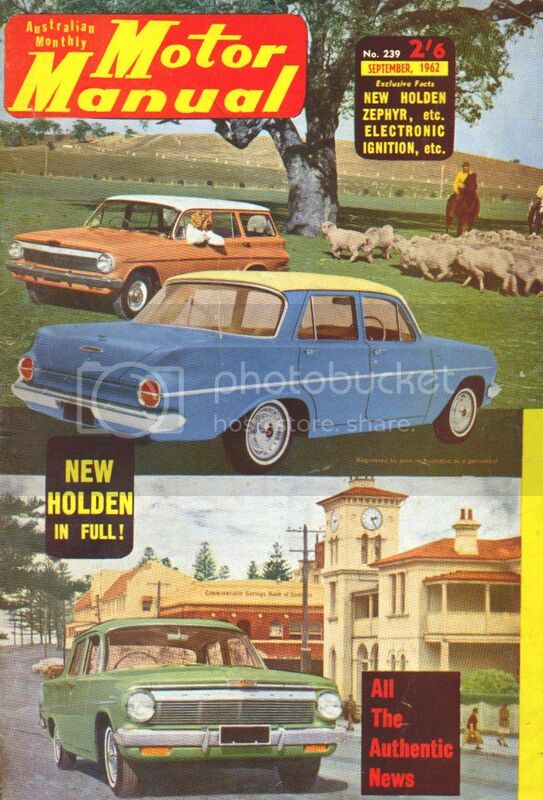 There are a number of EJ Holden sales brochures. There are two different passenger brochures, and one EJ commercial brochure. 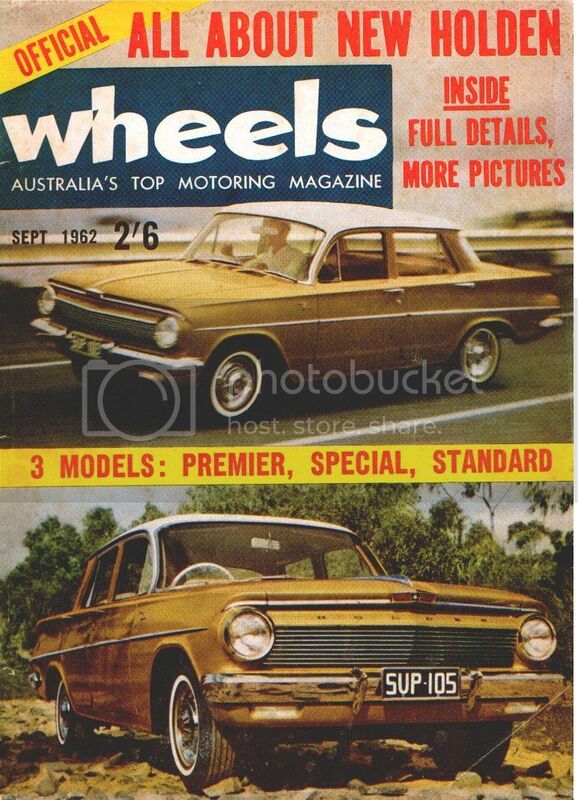 There is also a brochure specifically on the new Premier model. Click on the links below to view. Below are links to magazine articles on the EJ model.